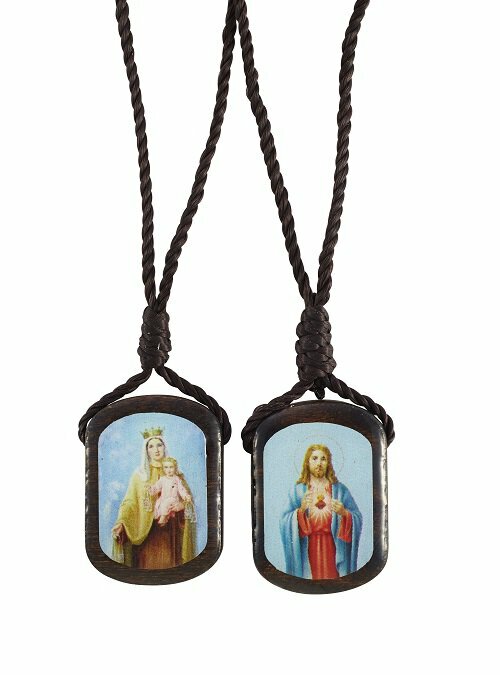 This scapular comes with wood panels, full-color lacquered images and durable nylon cords. The scapular is a time-honored and powerful devotion that asks its wearers to live out the faith they profess. If we wear it out of genuine love for Christ and a deep desire to be with Him in eternity, we can hope, in faith, that our all of our expectations will be fulfilled.